What a day, what a day. 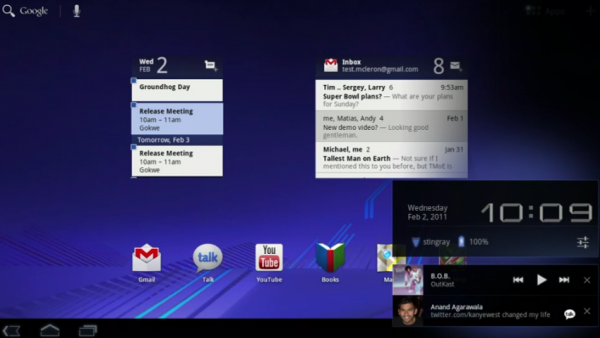 We spent almost the entire time talking Honeycomb and the Motorola XOOM, so how are we feeling about both now? The Honeycomb event definitely impressed the heck out of me and I can’t wait to finally pick up a XOOM once it has been released, but what about the rest of you? In our poll last Friday, a ton of you said “Yes” to buying one, more of you said “No” , and a couple thousand were still on the fence. Have you changed your minds now? Our coverage of the event can be found here. Thoughts on Honeycomb and the XOOM after today? Give me a XOOM now! Meh, I still don't need one. Missed the Live Stream of Google's Honeycomb Event? Watch the Replay!